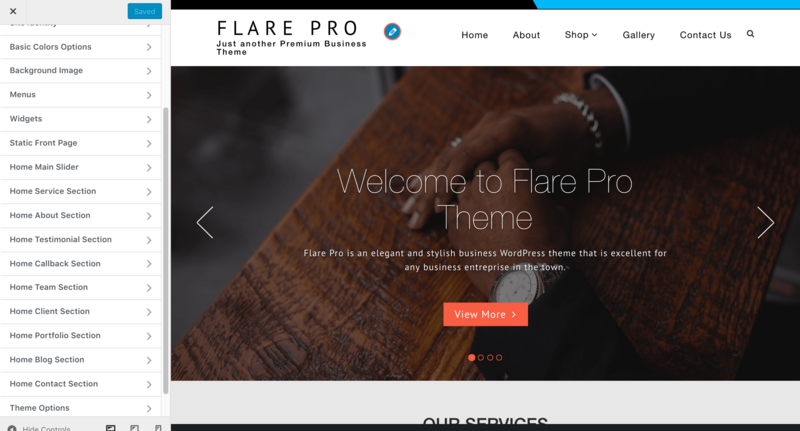 Flare Pro, a beautiful as well as professional-looking WordPress business theme, looks great on any device. It comes with many customization options and powerful features under the hood. However, it is very easy to configure the site yourself; you won’t need to write a single line of code. Some of the notable features are post slider, social icons, custom logo, customizer API, translation ready, etc. It supports popular Page builder like Elementor, Site Origin etc. Drag and drop Widgets: Fast, intuitive and smart page builder will make your customization fast and easy. With our custom add-on of visual composer, you can easily build web page of your site. Very user friendly theme options with a lots of features. Demo content included (XML FILE ) : You can upload the xml file from WordPress import options and setting up with theme customizer. Google Web Font :Flare comes with number of google fonts.Choose any of the Google web fonts library. 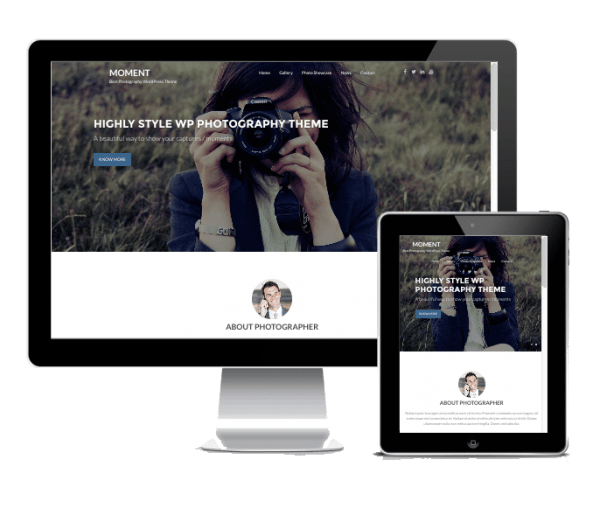 Responsive & Retina ready : Display your website on mobile devices is essential now a days. So we made our themes looks great both on mobile, desktop and retina displays! Unlimited Theme Color / Skins:Set your favorite theme color from theme options easily. Enjoy unlimited theme color. Flare is compatible with the most powerful and most popular custom contact forms WordPress widget! create your own forms in seconds! 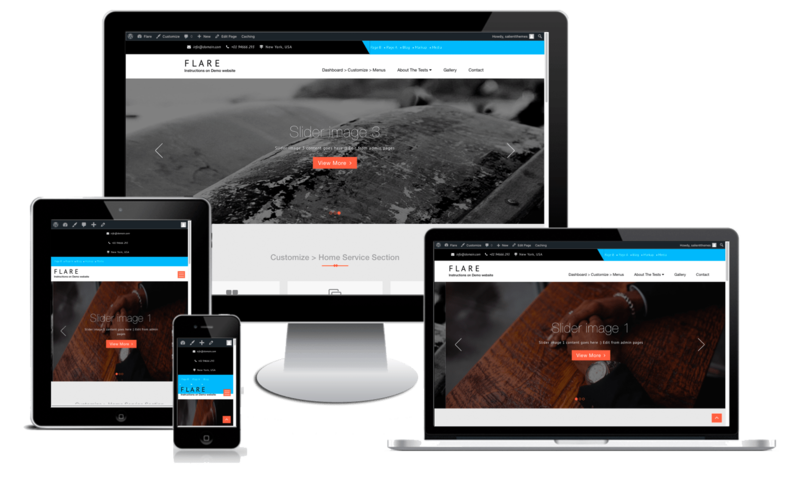 Light weight and Powerful :Flare is based on clean, light weight used, powerful custom framework. 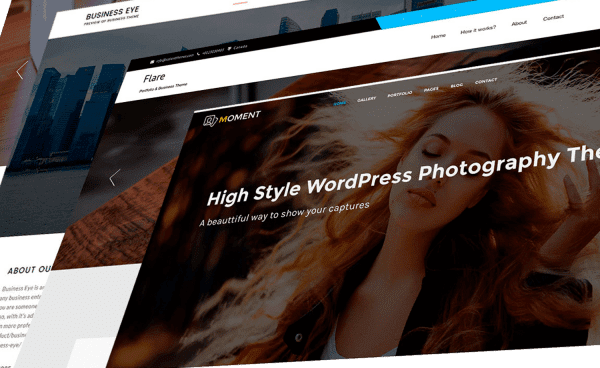 Detailed theme instructions : Extensive documentation with related screenshots, on how to setup and customize the site will make your work super easy and fast! Cross browser compatibility : Flare looks great among all major browsers including IE9+. 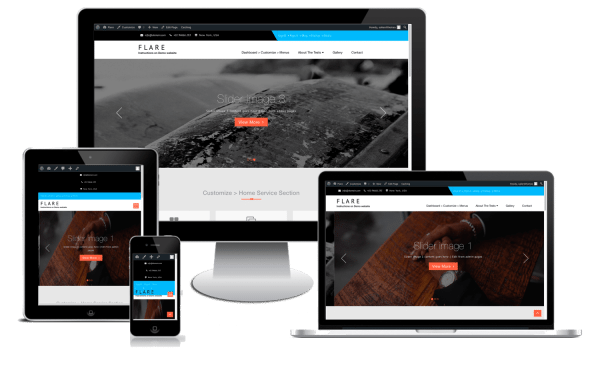 Outstanding WordPress Themes for any sort of online business. We always focused on simplicity and quality on our products.